It is a type of graph in which a circle is divided into sectors and each sector represent some statistic. It is a way to represent statistical data graphically. The <p:chart> component is used to create chart. Here, we need to set type = "pie" to create pie chart. It uses all the attributes of chart component that have discussed in previous chapter. 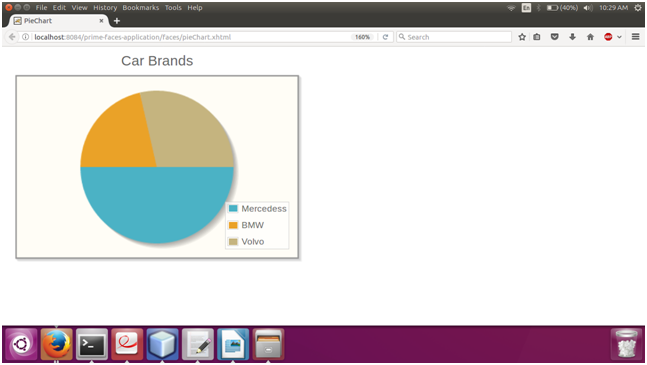 Here, in the following example, we are implementing <p:chart> component to create pie chart. This example contains the following files.